The ballistic is white in colour, normal sized with what looks like rice paper circles enclosed in it. 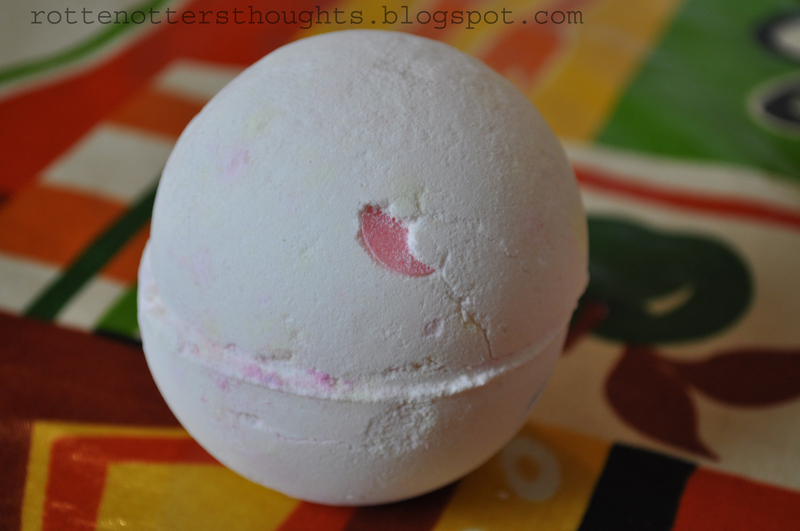 It has a very sweet lemony grapefruit scent, what I’d call as typical Lush scent in that it’s what I’d think of when thinking of Lush. If that makes any sense!! I don’t think I like the new formula ballistics, at least the two I’ve tried so far. They don’t seem to fizz, more like foam which means they dissolve really slowly. That is until orange bubbles appears out of the centre along with lovely gold glitter and turns this rather boring looking ballistic into something unique. I also heard some popping candy which I was pleased about as I couldn’t hear it in the Christmas ballistic. Once the ballistic is fully dissolved you are left with orange shimmery bath water to relax in. 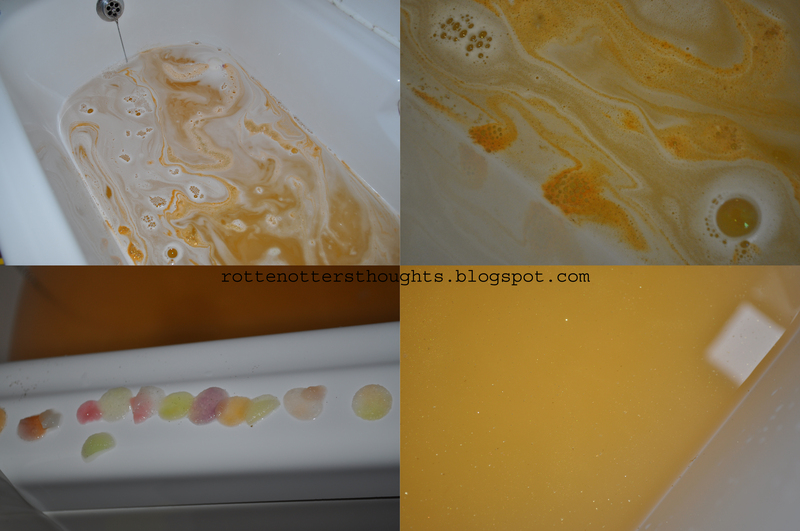 It looks very much like the water after Sunny side bubble bar, just orange!! I have to say I don’t like the rice paper circles, once they’ve been in the water for a while they go all gloopy and soggy, not very nice. Obviously that’s only a small factor and won’t effect me buying this ballistic again.